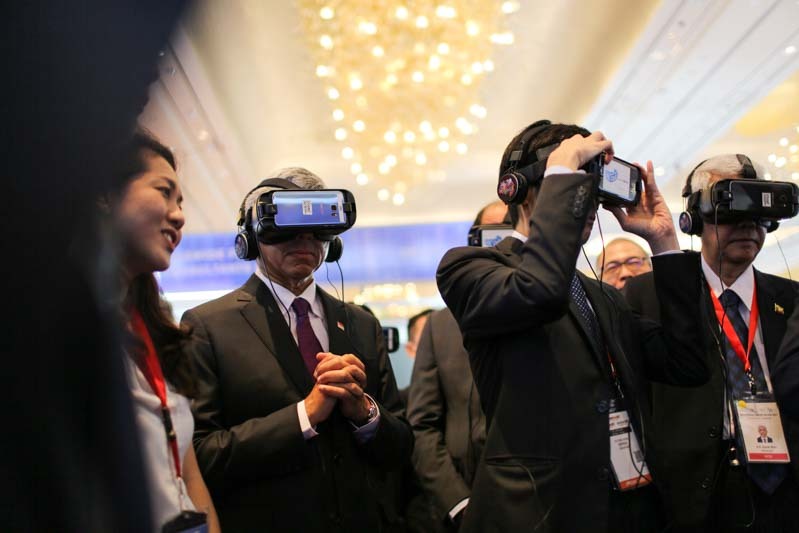 Immersive media has been identified by the Infocomm Media Development Authority (IMDA) Singapore, as one of four key frontier technology focus areas (the other three are artificial intelligence and data science; cybersecurity; and Internet of Things and future communications infrastructure) for the development of digital economy. Virtual and augmented reality technologies (VR/ AR) are expected to be used across various industries, such as retail, architecture, construction, education, healthcare, defence to improve processes, reduce costs and enhance outcomes. The Minister of Communications and Information, Dr. Yaacob Ibrahim talked about two initiatives in this context in his speech at the Infocomm Media Business Exchange (imbX) opening ceremony. The pilot project aims to test the feasibility of using VR technology as a tool in the teaching and learning of social studies in Singapore schools. The VR solution was developed through an IMDA grant to Beach House Pictures Pte. Ltd. in December 2016. MOE provided inputs on the design of the Primary Social Studies VR lesson packages to ensure that it was aligned to the curriculum and the learning outcomes of the Social Studies primary school syllabus. The solution allows students in a classroom setting to go through an on-site visit experience. Sites which might not be easily accessible to students due to their remote locations or due to students’ health or safety reasons can be explored. Sites of interest could include landmarks such as the Central Sikh Temple, Chinese Garden and Geylang Serai market for teaching students about the early settlers in Singapore or it could be an offshore fish farm or an organic vegetable farm for learning about agricultural activities in Singapore. There is a dashboard through which teachers can control (play, pause and stop) and guide students through the VR experience. Teachers know what the students are looking at through indicators on the teacher’s screen and point out interesting spots in the video. Teachers can also use instructional photographs, videos or information to augment the immersive environment and reinforce key learning points. The VR technology was piloted in five primary schools, covering around 400 students in March 2017. Twenty-five teachers went through a training workshop to conduct the VR lesson prior to the pilot. During each one-hour lesson, students experienced 4-5 VR experiences, lasting no more than 5 minutes each. In between the VR experiences, students also completed related activities to reinforce their learning on the topic. VR/MR provides an opportunity for healthcare practitioners to safely train using realistic and complex simulated environments and scenarios. IMDA is collaborating with Tan Tock Seng Hospital (TTSH) and local tech and visual effects company SideFX Studios (SideFX) to jointly leverage immersive tech to enhance clinical training. IMDA has signed a Memorandum of Intent (MOI) with TTSH to explore healthcare tech innovations that solve real world challenges. The project to be launched in May 2017 will use VR / MR (mixed reality) to create innovative immersive tech clinical training simulations for things like emergency airway management, which is a critical component in the resuscitation of a deteriorating patient in an emergency, life threatening situation. Simulations will also enable realistic practice scenarios for suturing and hygiene which are essential surgical skills of a doctor that are required in the delivery of care. TTSH consultant specialists from emergency medicine and surgery and their teams will provide healthcare knowledge inputs to guide and test the development of the immersive tech simulations. VR/MR provides an opportunity for healthcare practitioners to safely train using realistic and complex simulated environments and scenarios, such as bleeding and swelling. The enhanced realism in the training simulation promotes greater retention and recall. The technology can also help reduce costs by replacing the need to perform incisions directly on physical manikins that have expensive skin replacement parts. At present, VR will be used to complement traditional methods of clinical training because it cannot yet fully replicate qualities like tactile responses, patient and dynamic environmental changes.